Last week, we reported on comments made by Elon Musk in a company-wide email obtained by Bloomberg. The publication had only published excerpts from the memo at the time, but now that we have the full email, we learn that Elon Musk actually thinks that Tesla could be GAAP profitable in the current quarter – something the company hasn’t achieved in over 3 years. Tesla always reports its financial results using its own accounting standards, also referred to as non-GAAP accounting, which fed the company detractors in the financial world for years since Tesla’s actual results under GAAP reporting show wider losses. As mentioned in the email, Musk now wants to “throw a pie in the face” of those naysayers on Wall Street. The different accounting standard is mostly due to Tesla’s lease accounting under its resale value guarantee, which actually ended July 1. The impact of the end of the program will start to show in Q3 in Tesla’s non-GAAP and GAAP financial results should start tracking more closely. The company reported the profit in May. 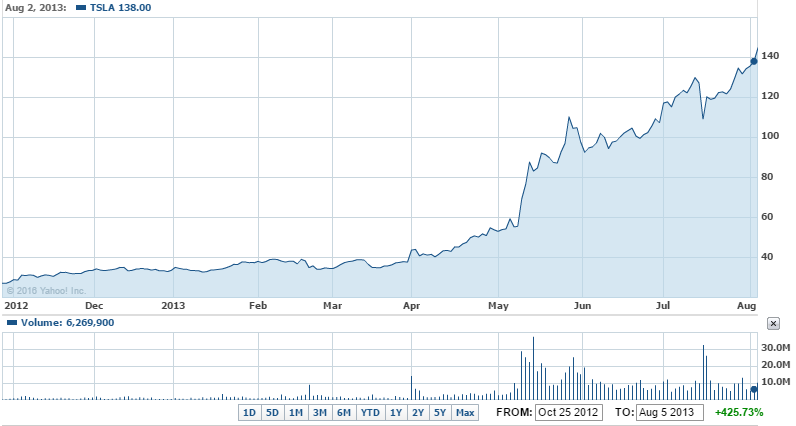 As you can see, it sent the stock over $100 per share for the first time. It also enabled Tesla to raise more capital, which looks like Musk’s plan again today. As he is pushing for profitability, he is also telling employees that the company plans to raise more capital in Q4. The company also disclosed the news in a recent filing saying that it’s currently planning another round of financing for Model 3 and Gigafactory. I thought it was important to write you a note directly to let you know how critical this quarter is. The third quarter will be our last chance to show investors that Tesla can be at least slightly positive cash flow and profitable before the Model 3 reaches full production. Once we get to Q4, Model 3 capital expenditures force us into a negative position until Model 3 reaches full production. That won’t be until late next year. We are on the razor’s edge of achieving a good Q3, but it requires building and delivering every car we possibly can, while simultaneously trimming any cost that isn’t critical, at least for the next 4.5 weeks. Right now, we are tracking to be a few percentage points negative on cash flow and GAAP profitability, but this is a small number, so I’m confident that we can rally hard and push the results into positive territory. It would be awesome to throw a pie in the face of all the naysayers on Wall Street who keep insisting that Tesla will always be a money-loser! Even more important, we will need to raise additional cash in Q4 to complete the Model 3 vehicle factory and the Gigafactory. The simple reality of it is that we will be in a far better position to convince potential investors to bet on us if the headline is not “Tesla Loses Money Again”, but rather “Tesla Defies All Expectations and Achieves Profitability”. That would be amazing!